A virtualized infrastructure wasn't his first choice, but it turned out to be the right choice for this midmarket CIO. 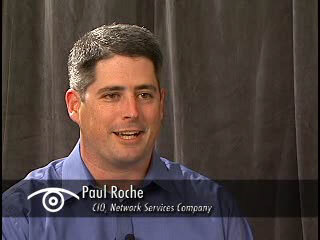 Paul Roche, vice president and CIO of Network Services Co., explains why he embarked on a virtualization strategy. Paul Roche, CIO and vice president, Network Services Co.
And other data center management challenges. About the speaker: Roche has been CIO of Network Services Co. since 2005. He joined the company in 2003 as director of business applications; prior to that, Roche was manager of the central region consulting and implementation group at Extricity Software Inc., which later became part of Peregrine Systems Inc. Previously, Roche managed professional services for the central and western regions at Infinium Software Inc. Roche began his career and spent eight years at Daly & Wolcott (now Infor Global Solutions Inc.). He has a master's degree from DePaul University's Kellstadt Graduate School of Business, and a bachelor's degree from Providence College.